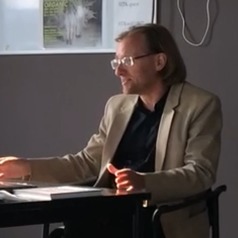 Thorsten Botz-Bornstein is German, has done his entire undergraduate studies in philosophy at the Sorbonne in Paris and holds a Ph.D. in philosophy from Oxford University. He also holds a habilitation from the EHESS in Paris. Having acquired Russian, he went for four years to Finland after completing his Ph.D. The University of Helsinki owns the largest Russian library outside Russia and the collaboration with a Finnish research group permitted him to do research on the formalist-semiotic tradition. His work on stylistics brought him to Japan. The starting point of his research on Japanese philosophy was Shuzo Kuki’s notion of ‘iki’ which he interpreted as an idea related to Western elaborations of the term style. He has also done research for several years on Chinese culture and philosophy in China (Zhejiang University), and taught at a historically black university in Alabama (Tuskegee University). Botz-Bornstein is working on various philosophical topics, most often from an intercultural perspective. Given the importance that Islamic culture has begun to play on the international scene, he decided in 2009 to move to the Middle East (Kuwait). He has published on Islamic culture, religion, and politics. Botz-Bornstein has published 11 authored books, 5 edited books, and 120 academic articles and book chapters. La Chine contre l’Amérique. Culture sans civilisation contre civilisation sans culture?